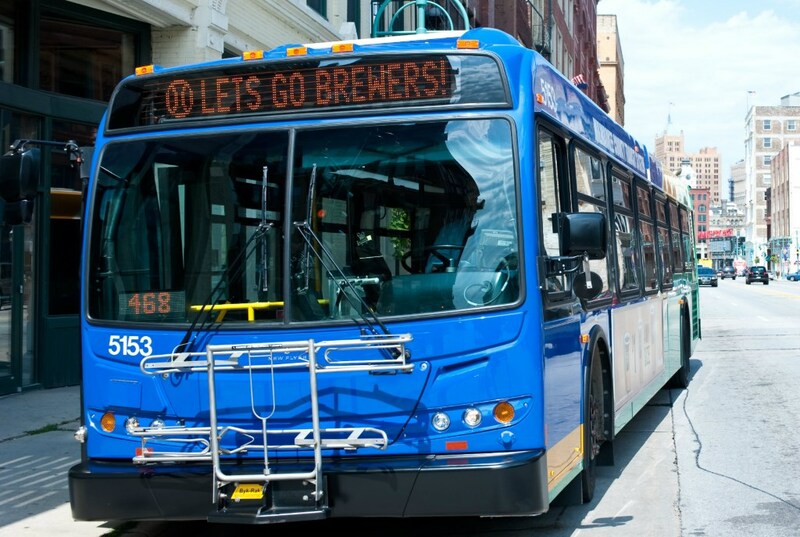 Milwaukee County Transit System (MCTS) is excited to begin selling the MCTS M•CARD starting Monday, September 29, 2014. This project is a major advancement to an electronic fare system replacing 27 year old fareboxes! 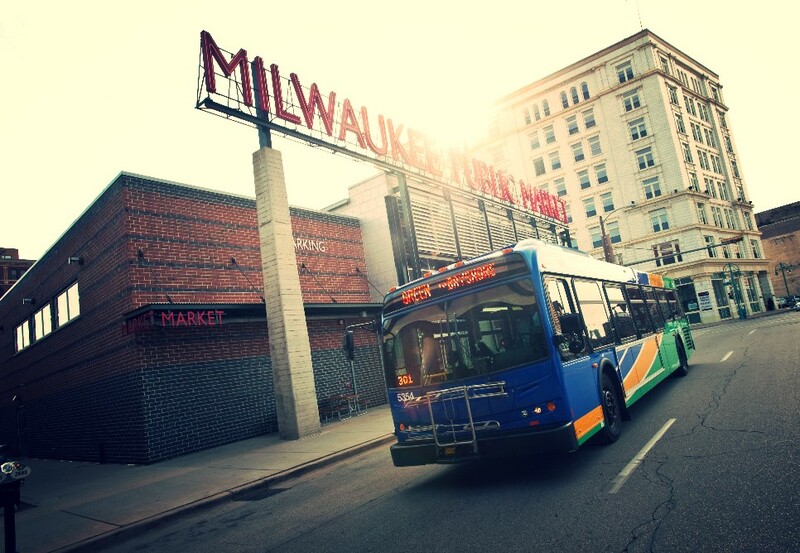 The MCTS M•CARD provides a more convenient and secure way to pay fares. 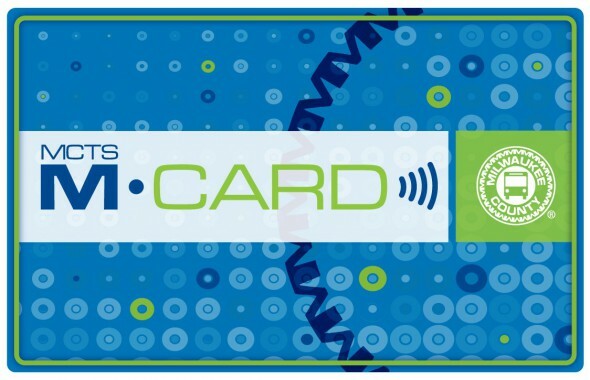 Riders will now be able to purchase 1-day, 7-day & 31-day passes on the new MCTS M•CARD. This plastic smart card can be electronically loaded with transit passes at 24 retail outlets. Over the coming weeks, the number of sales outlets will be increased to 100, and an ability to purchase passes on MCTS M•CARDs fares directly from the transit system website, RideMCTS.com will be activated. During the conversion to the full MCTS M•CARD network, current paper tickets and passes will continue to be accepted as fare on buses and will be sold at sales outlets. Simply touch your MCTS M•CARD to the orange target (see attached picture). The farebox will check to see if pass is valid. 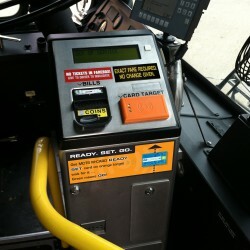 It will beep once for full fare or twice for reduced fare cards. The passenger display will show information about the transaction. It is that easy and fast! The conversion to smart card technology is just one of three major technological improvements MCTS is implementing on the transit systems this year. Real-Time Information and an Automated Bus Stop Announcement system also make taking transit easier. MCTS M•CARD – Stored-Value (Pay-Per-Use) will be available. This will replace paper tickets. Individuals will be able to place an amount ($2 to 100) on the MCTS M•CARD. One discounted fare will be deducted each time they ride and a 90 minute transfer will be loaded. Additional sales locations will sell the MCTS M•CARDs for a total of 100 outlets. MCTS M•CARD fares will be sold online at RideMCTS.com. Paper transfers will be transitioned to MCTS M•CARDS at the beginning of 2015. Finally! Although, really, the pay per use option is the real solution for me personally. I’m not sure what would be the reason they can’t phase in both period/based passes at the same time they phase in use/ based passes, but I’m not a technological whiz. I think its great news, I just hope the additional features do not take forever. If its any benchmark, while the real-time routing recently rolled out has also been a nice improvement, the time it continues to take to roll-out to many more routes remains frustrating. Slow (yes, bummer) but steady (better than no progress) I guess. Really Excited! But now they need to work on getting the mobile payment too! I used that in Austin and it was amazing!